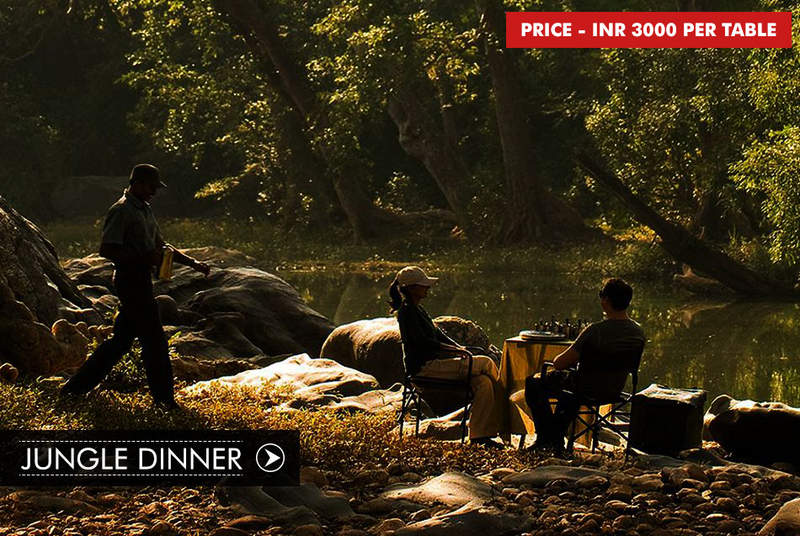 Enjoy a perfect dinner at one of the most exhilarating places in Tala Village of Bandhavgarh National Park. The gorgeous views of the jungles, the classic wooden roof and pillars, and mouth watering aromas that fill the air will make this dining experience one of the most memorable experiences of your life. Taste splendid cuisine and delicious wine while enjoying the natural air that blows through your hair, and sounds that will make you get goose bumps in the middle of the forest.